Ethany directs ioby's match funding programs that support ioby Leaders across the country with additional project funding. She never tires of meeting people who are dedicated to making positive change in themselves and in the world, and is particularly inspired by projects that increase neighborhood sustainability and livability in tangible ways. 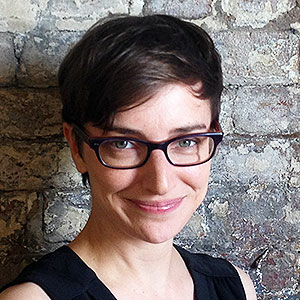 Before joining the ioby team, Ethany led Brooklyn Arts Council’s grant-giving and professional development programs for seven years, and worked in a variety of organizational development, project management, and teaching capacities. She is also a civically engaged resident of Brooklyn and a long-time volunteer activist in the arenas of social and environmental justice. An art historian and educator by training, Ethany still enjoys making art, seeing art, and talking endlessly about art. She can often be found exploring NYC’s green spaces and obscure historical sites, or cooking every vegetable she can find at the farmer’s market.